Leaders of the rebel armies in Mexico City were unable or unwilling to conclude an agreement, and, in the coming months, war for power erupted between Carranza and Villa. In places, opportunistic gang leaders pretended to be revolutionaries and plundered and raped without fear of reprisal. And families with property banded together to protect themselves and their possessions. On January 6, 1915, Carranza declared himself President of Mexico. He maintained his claim that he was a reformer by promising to dissolve great estates and to return lands that had been taken illegally from Indians and others. He competed with Villa and Zapata for the support of people who worked in agriculture, and in February he signed an agreement with labor leaders, promising a better deal for labor unions and industrial workers – appeals and alliances ignored by Villa and Zapata. Zapata, who had favored Villa, also suffered defeats by Carranza's forces. On June 15, 1915, President Wilson, behind in assessing events in Mexico, called on the warring sides in Mexico to unify. Carranza resented Wilson's declaration, as did most Mexicans. Carranza had little reason to negotiate: he was winning. His military victory against Villa was swinging support to him across much of Mexico. Zapata withdrew his army to Morelos and to neighboring states where he had support. In mid-October, 1915, Woodrow Wilson recognized Carranza as Mexico's legitimate authority. In his camp in Chihuahua's hills, Villa saw this as a betrayal, Villa recalling that it was he who had remained a loyal friend of the United States. Villa announced that he intended to strike against "the gringos." In January 1916, he and some followers held up a train at a station not far from Chihuahua. On the train were seventeen American mining engineers returning to their work, whom Villa's men shot and killed. In the United States, fear arose of an invasion by Mexicans. And in the US attacks against Mexican-Americans left about a hundred dead. In early March, Villa and his men made a night raid into Columbus, New Mexico. They burned the army barracks there, robbed stores, killed eighteen townspeople and shot up property belonging to Sam Rabel, a well known arms dealer whom Villa believed had swindled him and had caused the death of some of his men. Then Villa and his men escaped back across the border, in front of clouds of dust. Overnight, Villa's raid against the United States re-established his status in Mexico as a hero, but not enough to threaten Carranza. Emotions in the United States ran high. It was an election year, 1916, and President Wilson's cabinet pressed Wilson to decisively punish Villa. A feeble response, advisors claimed, would hand the Republicans abundant ammunition and would result in Wilson losing the election. Wilson yielded and on June 21 he sent an army of 12,000 men on horseback into Mexico after Villa. Wilson claimed his move was justified by Carranza's inability to control Villa, and Carranza's military hierarchy, in turn, warned US troops that any movement other than turning back for home would be considered a hostile act, and the leader of the US force, Major General Pershing, ignored the warning. Wilson's tough response regarding Mexico proved unproductive. The 12,000 US soldiers on horseback in Mexico failed to find Villa. The desert heat weighed on them. In the only fighting that resembled warfare, an outraged Mexican force attacked the Pershing expedition, killing several and capturing a few of Pershing's men. To keep the Pershing Expedition from arousing the passions of his fellow countrymen, Carranza pressured Mexico's newspapers to cease publishing stories about it. In the United States, the press turned against the expedition, some criticizing Wilson for meddling in Mexico's affairs, and some criticizing Pershing for failing to win any battles. Then, in early February 1917, the Pershing expedition returned to the US empty-handed. Villa, meanwhile, failed to adjust to the new political reality in Mexico. He was finished as a leader of revolution. Carranza had gained the breadth of support and the military power needed to hold on to power. Villa continued to make raids from the Chihuahua hills, seizing towns, but then losing them again, while Carranza was subduing the many little rebellions led by dreamers and crackpot militia leaders trying to copy Villa and Zapata. Carranza was having only minor success against Zapata. Zapata's forces had dwindled from 20,000 to 5,000, and Zapata was resorting to guerrilla tactics. Carranza's general, Pablo Gonzales, over-reacted, resorting to extreme measures against the Zapatistas. He forcibly moved populations from their villages and towns and burned villages to the ground. Gonzales confiscated food and animals, leaving people to complain that they were being left to starve. Zapata responded as he had before, urging restraint, but his brother and some of his lieutenants pursued the harsher and murderous measures commonly practiced by desperate guerrilla movements. Meanwhile, as the provisional leader of Mexico's new government, Carranza was cultivating ties with other Latin American governments and with Germany. In February 1917, Mexico's Constituent Congress published Mexico's new constitution. The drafters of the new Constitution took aim against those Mexicans living in luxury abroad while their estates in Mexico went to seed. The Constitution described the ownership of land as a service to society's needs, and it gave Mexico's congress and state legislatures the power to issue laws to break up large estates, to force large landowners to sell their lands and to make purchases of their lands easy through installments. Outright confiscation of land was to take place only if an owner refused to comply. The Constitution provided labor with an eight-hour working day, a minimum wage, an annual vacation of at least fifteen days, a right to strike, and it abolished child labor. It limited the right of foreigners to own agricultural property. The Constitution excluded foreigners from owning property on the frontier between the US and Mexico and at seacoast zones. And the Constitution took primary schooling away from the Catholic Church, making primary education in secular schools compulsory. The Constitution called for elections every four years, and Carranza won the first of these elections and was inaugurated president on May 1, 1917. The widespread acceptance of democratic methods for achieving change had not yet been achieved, but for the time being the Carranza regime maintained enough public support and a strong enough army to make his regime and the new Constitution secure. But mischief was still possible from ambitious men of influence. Not every leader in Carranza's military was admirably virtuous. In 1919, still at war with Zapata, a unit of President Carranza's army pretended to defect to Zapata's army. The unit staged a rout against other federal troops. Dozens of soldiers were sacrificed and the show apparently persuaded Zapata. On 10 April 1919, Zapata, still interested in revolution, went to confer with the pretending defectors. He rode into a hacienda with just a handful of his men and was promptly assassinated while still on his horse. By 1920, President Carranza decided he wanted as a successor someone who was not a general. And a former general and ally, Alvaro Obregon, to the left of Carranza politically, wanted to be Carranza's successor. Being of the Left politically guaranteed nothing. Denied the opportunity to be president because he had been a general, Obregón became involved in a coup against Carranza. On 21 May, Carranza was killed. And, on December 1, 1920, Obregón became Mexico's new president, its new chief of state. Following the death of President Carranza, the federal government settled with "Poncho" Villa, who was given a 25,000 acre hacienda, near Hidalgo del Parral in the state of Chihuahua. On 20 July 1923, Villa was assassinated by a team of gunmen waiting for him while he was driving his Dodge roadster home from a bank. The conspiracy to kill Villa is said to have included President Obregon's old associate and his Head of the Interior Ministry, the former general Plutarco Calles. The motive among those involved appears to have been long held grudges and revenge. Villa was forty-five. Common people in northern Mexico had continued to view him as a hero. 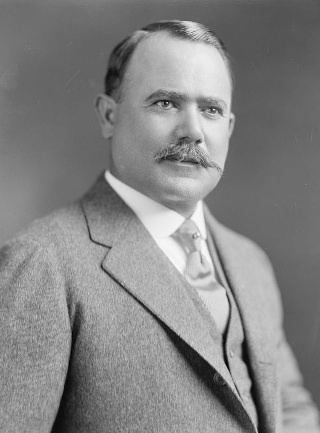 Obregon oversaw educational reform, moderate land reform and new labor laws sponsored by organized labor. Obregón announced that Plutarco Calles was to be his successor. This displeased his finance minister, Adolfo de la Huerta, who launched a rebellion against him in 1923. Obregon took to the battlefield, and Adolfo de la Huerta fled to Los Angeles, California. Obregón is reported to have ordered the execution of every rebel officer with a rank higher than major. Plutarco Calles became Mexico's next president on December 1, 1924, and Obregon was scheduled to succeed him on December 1 ,1928, but Obregón was assassinated on July 17, 1928, by a Catholic partisan in the Cristero War – a war that lasted into 1929. The Minister of the Interior under Calles, Emilio Portes Gil, was to serve as provisional president for fourteen months until February 1930, when new elections were to be held. Viva Zapata, movie, directed by Elia Kazan, starring Marlon Brando and Anthony Quinn.